This is a small rant I was on lately. If you’re not so much into “Content Management”, not sure this will speak to you… you might want to pass. This is of course only my personal opinion, and it is quite not about eZ itself (the company I work for) or about our products, it is more about our small industry, the ‘Content Management’ industry. I hear some colleagues and friends in our industry, saying things like “eZ changed (again) positioning to move to Experience Management”, I also hear some people saying things like “I can’t stand this people calling WordPress a CMS” (to not only take eZ as an example). 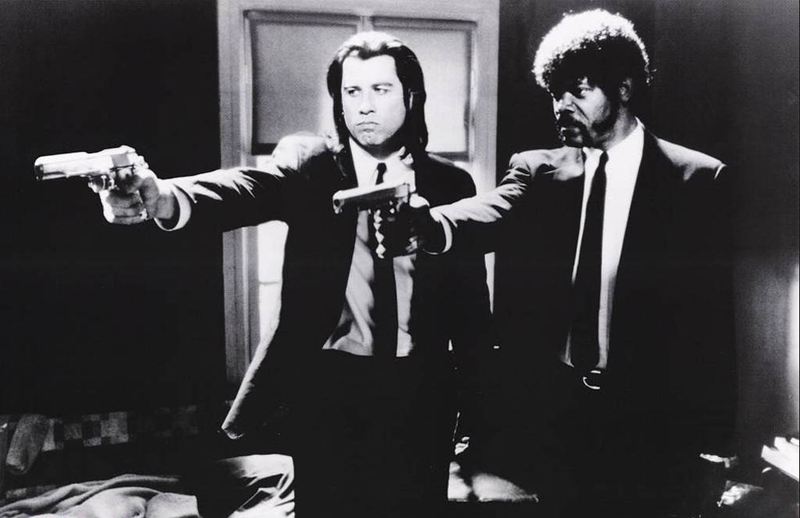 I hear some saying, “These guys are in the Portal industry, not in the CMS”. Actually I often hear myself explaining how our company, eZ, is moving from a pure Content Management platform to a more global “Experience Management” platform. Come on! Truth to be said, this is somehow wrong. Just noise, or sometime may be trying to surf the good waves. Experience is for sure the word of 2013, the word to use and Experience Management the spot to be on! It is THE thing to do – fair enough (just learned from analysts today this might have to be adjusted to DX when speaking about acronyms, stands for Digital Experience… uh, what about when we do print business?). But honestly this is just about our jargon. Is there really, beyond the words, any big change? I don’t think so, we just try to do things better. I think it seems to be a big change only if you are looking at software and at products from a wrong, short-sided view: the features and only the features. To illustrate my thought I like to make a reference to this article of Harvard Business Review called “Marketing myopia” which introduced the famous question “what business are you really in?”. It uses the example of the railway industry in the US, who lost the transportation battle because it was too narrow-minded, considering itself in the “railway business” instead of being in the “transportation business”. Saying it in an other way, it was focusing on the product and the feature, not on the business objective. Well, eZ has always been in the “Experience Management” business. So does WordPress. CMS has always come second. Content Management might be a process, it is more than anything a list of features that I don’t want to list here. I remember, I was then not yet working for eZ but using eZ Publish. The folks at eZ were hesitating between different appellations: e-commerce? portal? CMS? … this was because eZ had to give it a name and a position. I am pretty sure the goal was indeed, already, to create a platform for Experience Management! What changed in between? Well, the ‘Digital Experiences’ our customer need to build have quite significantly evolved. 10 years ago it was still mostly about creating a website for communication and information purposes and simple way for the user to reach it, now it is just much more! 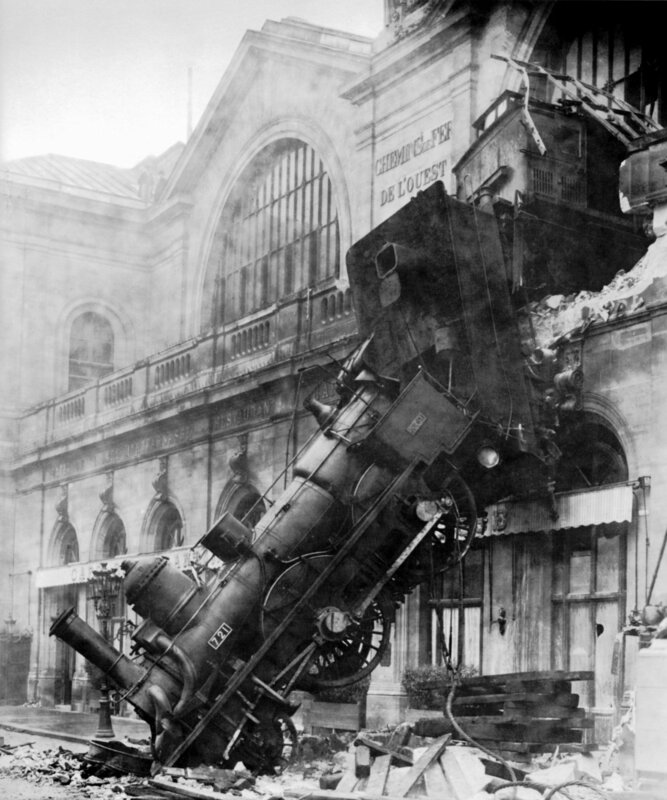 I predict a dark future on the mid-term to the people who are thinking they should stick to ‘Content Management’ feature set and certainly not touch other functional domains… I think they will miss the same train the railway industry missed! Changing positioning as in the 2 examples that I gave above (eZ and WordPress) should not be seen as a sign of uncertainty, I believe it should more be recognized as a sign of lucidity in which business we are and how it is evolving! And of course, at eZ, I will keep highlighting our changes to a bigger CXM / DX / UXP platform, but more to explain our vision on how Experience Management has evolved. Why it doesn’t ask for the same things yesterday, today and tomorrow and why we constantly innovate to try to provide these features – whether they are in the CMS box, in the BI box or in any other! Surely focus is required to be successful, but looking at the solutions from one single feature lens is not what I would call the right focus. This entry was posted in cms, customer experience management, experience, ez on April 10, 2013 by Roland. 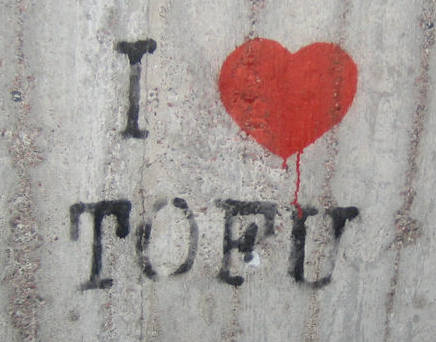 Are you ToFu, MoFu or LoFu? Or where shall you place your effort when planning and rolling out your online marketing effort? This started with a funny discussion with one fellow partner who works for an online marketing software company around a glass of wine after a long work day, bringing me to this new terms I didn’t know yet. Acronyms are like TV to me: most of the time they annoy me but sometimes I really like them and this was the case! In the online marketing jargon, these terms are intended to categorize online marketing activities, software, and solutions (at least after a few hours of discussing the topic). ToFu stands for “top of the funnel”, “MoFu” is middle of the funnel and LoFu the bottom of it (From what I saw, people tend to use MoFu but I like LoFu better…). Catchy acronyms, no? From a strategical point of view, it’s a no-brainer; you must cover the whole journey of the online customer acquisition! Indeed, if you are serious about online marketing, it really makes no sense to not invest in all battles! You must have a plan to grow your traffic and broaden your funnel (ToFu). You must have a plan to better nurture your audience and prepare them to jump to the lower level (MoFu), and finally you must have a plan to efficiently transform the ones from it that qualifies them for the customer profile! Just like a triathlete cannot bypass one of the disciplines, an online marketer can not think about improving all steps! A year or two ago, I was looking at a collaborative Q&A solution, and I heard about a company that was making some buzz, who was coming up with an innovative solution in that respect. The company was very good at the top and mid level (ToFu and MoFu): I was into their offer, ready to be nurtured, engaged! A few smart blog posts helped me think about my needs and think about what they offer. Result: I clearly positioned them as the best candidate. I was ready for stage 3 – LoFu: look at detailed budget and operational questions and may be engage with a sales person! And here is where they were not good at all! I hope for them that they have improved, but apparently they didn’t want me as a customer… It was impossible to reach their Sales team and get details on pricing despite all my effort to buy. Failing at only one touchpoint can have global consequences on the end result and can ruin the experience. I still don’t understand what happened (my best bet being that the company was not ready to sell and the first stage of the demand generation marketing machine was launched too early. It should have stayed a buzz and teasing thing). After a bit of patient waiting, I totally changed my mind and categorized this company as a not-serious and opportunistic vendor that I would in no way want to deal with! I would not change my mind anymore! Funny enough, a sales rep from this company called me something like 6 months later, but no need to say that my perception was not reversed at all. I guess (and hope for them) that they improved in the meantime but for me, evil was done. Also for the curious (total disclosure here,), I decided in the meantime to implement OSQA, a pure open source solution. The only viable strategy is to care for all the stages of your funnel! And finally, I would say that you should alway think “lean”. The “think big, start small” motto fits perfectly to the online marketing discipline. There is a lot of room for successful, measurable small activities that are really meaningful as long as you keep the global, “big” thought of where you want to go! About tactics: be lean, think big, start small! Hopefully, I’ll get some time soon to rant on the topic more, as it is really interesting and so much of a recurring question! In the meantime, I’d take any advice or view on it! For now I’ll stick with these acronyms, and will enjoy a dose of ToFu or MoFu. Back to my real work! This entry was posted in content marketing, customer experience management, online marketing on September 25, 2012 by Roland. 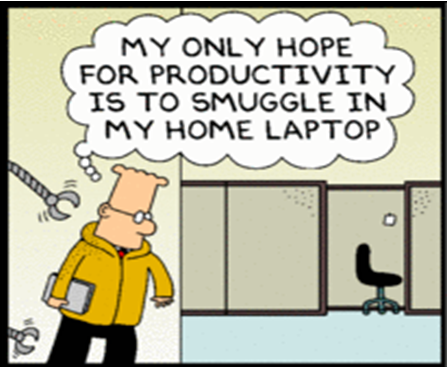 Image: © Scott Adams, May 28, 2008. Dilbert. I ran through a lot of content dealing with the topic of consumerization of IT over the last months. A lot of “not that interesting noise” but also some good thoughts! One of the latest on this good side being a conference keynote at info360, a panel run by Tony Byrne on this topic where Carin Forman, Director, Digital Photo Services, for HBO touched the topic in a way that I liked. Since then, I’ve been paying more attention to the topic, up to finally writing a small post on this blog, mostly because I thought I needed to put my ideas together in one place! First as an intro, I should say that I have been a big supporter of the idea for a long time, from the day I have been able to use the same computer system at home and work (a Mac if you ask…) this has been a huge step forward in my digital life. Don’t get me wrong, this has little to do with the Mac itself and the same story could happen reversed: the one of a PC fanboy being finally authorized to use a PC in his all-Apple company! But it must be said that Apple has been instrumental in making all this happen on the hardware side, as much as Google has lately on the software side. However, in my fields, our fields, Content Management, Information Management, Document Management, etc. I have been a bit annoyed by the way some are pushing the idea. I don’t think it is as simple as using Facebook on the other side of the firewall (which makes me think of this good article from Aaron Shapiro – you’ll need more than Facebook). I don’t think this as much as I was not thinking using the paradigm of blogs for all websites (from e-commerce to corporate communication) was the one solution to rule them all (I remember this being pitched at some Sixapart’s events when blogs were supposedly to take over content management and e-commerce solutions). I don’t think Digital Asset Management is always as simple as the combo iPhoto+iCloud. I think larger organizations and even smaller businesses have totally different needs and preoccupations than consumers, and, very simply, that they don’t need the same tools! This doesn’t mean I don’t embrace this idea of consumerization. I am a big believer in it. I think it is the way to go for enterprises if they want to meet efficiency! It is just that I look at the way we build solutions. What do Facebook, Tweeters, Dropbox, Netflix, Amazon, eBay have in common? They are all, at their very core, Product Companies. They all designed and built a product absolutely tailor-made for their customers, that translate in remarkable experiences. A product that maximizes the user satisfaction, efficiency and productivity! None of them are using standard, off the shelf product! More than that, they are inventing what we call Digital Experience, setting the standards. And then it is about providing enterprises with the right tool set and solutions to enable them to be themselves: “product” organizations. This must enable them to focus on the experiences they need to build and not on the code they need to write. This doesn’t mean nothing comes off the shelf. There are certainly commodity bricks (after all there are many in the consumer side as well). Focus on the product. Focus on the experience! That, and only that, will enable users to reach the same level of satisfaction they are having in their personal digital lives. Every enterprise should be a “Product” Organization! This entry was posted in customer experience management, ez, IT consumerization, nuxeo on August 1, 2012 by Roland.